As an accountant, I was not schooled to be a trendsetter; rather, my training leaned more to following the action, kind of like the cleanup crew after a teenager has gone wild with a credit card. So it was with real excitement that I watched scientific history unfolding with researchers from the Ellis Bird Farm and the University of Manitoba. Geolocator technology – originally used to track migrating elephant seals – is now small enough for songbirds. I observed Dr. Kevin C. Fraser attach the very first pea-sized locator to a male bluebird, carefully adjusting the backpack-like carrier so the bird could go about his daddy duties without noticing the hitchhiker. Little is known about bluebird migration and these are the first mountain bluebirds to carry geolocators; hopefully the information revealed will help decrease bird mortality. Ellis Bird Farm attached geolocators to purple martins in 2012 and birds returning in 2013 showed that the largest members of the swallow family migrate over 21,000 kilometers – equivalent to half the circumference of the earth. The mountain bluebird’s trip won’t get as much press as Christopher Columbus’s, but the feat is just as impressive for a bird weighing as much as a chocolate bar! This exciting geolocator technology is small enough to track songbirds. Find out more: Click to Tweet. This improved invention now allows us to shine a light in the mysteries of migration. Learn more: Click to Tweet. 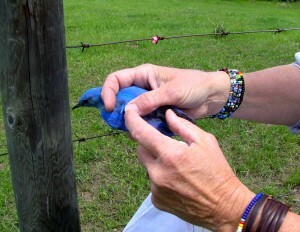 These are the first mountain bluebirds to carry geolocators thanks to the University of Manitoba. Click to Tweet. If you have worked with tourism businesses in remote locations, you know easy access is important in attracting customers. So when an airline adds a new route, it creates untold opportunities for adventure businesses. Recreation and real estate development took off in B.C.’s Comox Valley when WestJet added Calgary to Comox flights. Now, Icelandair is adding direct flights from Edmonton and Vancouver to Reykjavik. In less time than it takes to reach Halifax and for the same price as a trip to Toronto, people can visit one of Europe’s coolest destinations. And that is cool as in hip. 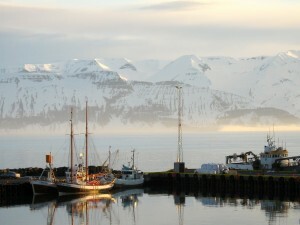 While it’s located near the Arctic Circle, Iceland’s climate is moderated by the Gulf Stream. It feels more like a chilly Vancouver than Iqaluit. And there is much to do for adventure seekers – hiking, bird or whale watching, tours of glaciers and geysers, and visiting museums on whales, seals or sorcery. Here’s hoping more Canadians experience the destination National Geographic Traveler rated one of the best places to travel! Discover how airlines are reinventing destinations & creating tourism businesses via @Reinventure. Click to Tweet. This is one of Europe’s coolest destinations & should rate one of the best places to travel. Click to Tweet. @WestJet is reinventing destinations by adding new routes such as this exciting adventure opportunity. Click to Tweet. Nebraska’s crane-watching was called a “must-see” in the New York Times best-seller 1,000 Places to See Before You Die. Each year thousands of people come to the Platte River to watch a half-million cranes gather to refuel before pushing on to their breeding areas in northern Canada and Alaska. Looking to create new visitor products, tourism planners suggested Harlan County partner with crane festival organizers to offer something wildlife-related. 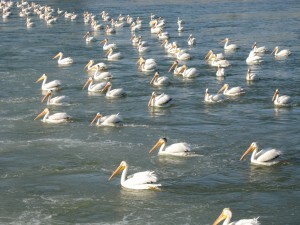 The result was the Harlon White Pelican Watch. Now in its fourth year, the festival attracts approximately 1,000 visitors. Some are keen birdwatchers; others are new to the sport, but all are eager to learn more about pelicans. Co-operating like lions, these large birds will swim together in circles to push fish together for easier eating. This New York Times best-seller called Nebraska’s crane-watching a “must-see”. Discover why: Click to Tweet. Discover why this exploration is a “must-see” via @Reinventure: Click to Tweet. The New York Times best-seller “1,000 Places to See Before You Die” names this a “must-see”: Click to Tweet. An Explorer’s Surprise: Prairie Dogs Talk? Prairie dogs – a larger rodent than the little-respected gopher is one smart creature. Researchers have discovered prairie dogs have a vocabulary of 100 different sounds! Professor Con Slobodchikoff of Northern Arizona University found prairie dogs distinguish between predators like coyotes or hawks or humans with different sounds. They can also describe speed, color or size. So they don’t just say watch out for the Homo sapiens over there. Their alarm call would be different for the tall human wearing white versus the short human in yellow. Who knew these creatures, often regarded as pests by some, have the linguistic prowess of ravens or apes? I suggested the communicative rodent might be an under-utilized tourism resource at a speech to the Nebraska’s Agri/Ecotourism conference and that if Meerkat Manor celebrated meerkats why couldn’t a reinventer in Nebraska develop Prairie Dog Ponderosa? 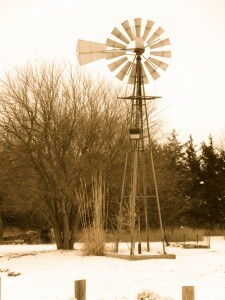 I was delighted when Tricia Beem of Grand Island Convention and Visitor Bureau described her Bugling, Booming, and Barking tour that included viewing of sandhill cranes, prairie-chickens and Black-tailed prairie dogs. With interpretation of their social behavior and communication, I think these prairie sentinels could become a great addition to a Nebraska holiday or perhaps create destination awareness through social media. Who hasn’t watched an amateur voice over of a cat or bird or dog on YouTube and seen it shared thousands or millions of times? Perhaps a Rosetta Stone course in Prairie-dogese is just around the corner! Researchers have discovered that prairie dogs have a vocabulary of 100 different sounds! Learn more: Click to Tweet. An Explorer’s Surprise: Prairie Dogs Talk? via @Reinventure. Click to Tweet. Imagine my surprise when I found out prairie dogs can actually talk & have a vocabulary. Discover more: Click to Tweet.